Although it opened doors for female athletes, women who coach women’s sports have not experienced the same growth. Despite higher participation numbers among women in college sports, the coaching jobs in those sports often go to men. The NCAA report also found more men than women are serving as assistant coaches in women’s sports. The NCAA monitors hiring practices and has partnered with the Tucker Center, which issues a yearly report card, grading universities on their efforts to hire female coaches. 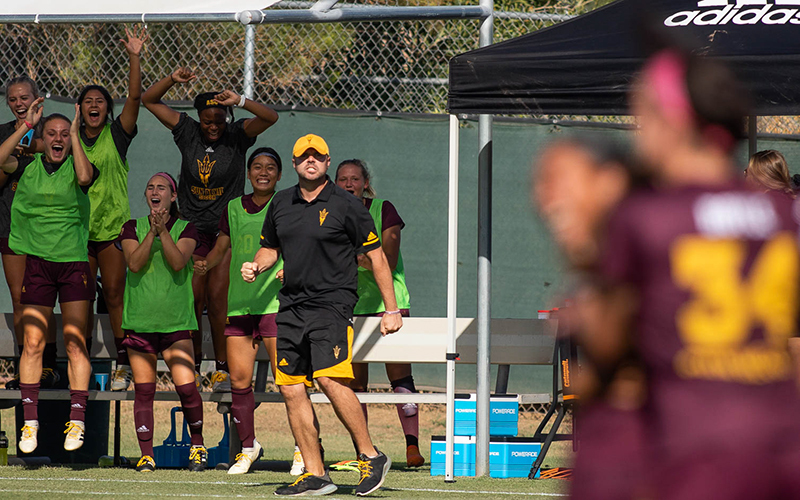 The three Division I universities in Arizona have a combined 36 women’s sports, with 12 women leading those programs. Seventy-seven percent of athletic directors across the country are male, Wilson said, and she believes they tend to hire people with whom they are familiar – often other men. 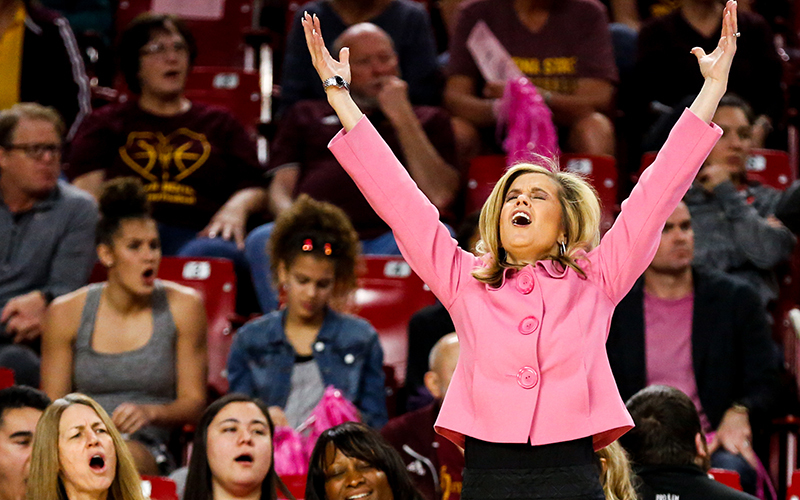 Arizona State women’s basketball coach Charlie Turner Thorne agrees with Wilson about the work-life integration of a female coach. Although neither Anderson nor Mike Marlow, Northern Arizona’s vice president for intercollegiate athletics, cited specific initiatives aimed at hiring more women, both said they are committed to honoring it.